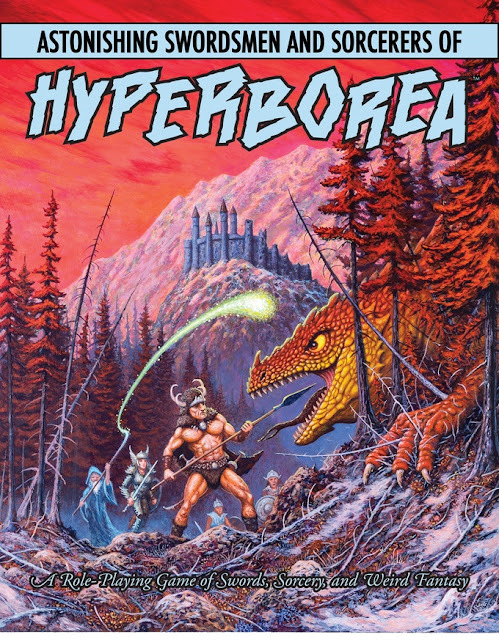 We are coming into the last few hours of the Kickstarter for Astonishing Swordsmen & Sorcerers of Hyperborea 2E. I am very, very fond of this game. There is just so much potential here that I become overwhelmed with ideas. Do I want to do do the dawn-time of humanity when the Old One have left the Earth? Do I want to do an older, colder Earth of the far future under a dying sun? Or just smoosh it into my current games? I want to do it all, to be honest!! There is a lot love about this game really and I can't wait to try out this new addition.